Born on Long Island, New York, Kristen Rossi is currently living the expat life in Bangkok, Thailand. The product of a theatrical mother, Kristen’s childhood was filled with music, and she made her solo performance at age seven singing ‘Castle on a Cloud’ from Les Miserables. As a teenager, Kristen attended Nassau County’s Board of Cooperative Educational Services (BOCES) drama program, and from 2003 to 2006 she studied acting, musical theater, stage combat, speech, direction, ballet, jazz, voice and piano at Point Park University where she received her Bachelor of Arts degree. In the spring of 2007, Kristen made the decision to move abroad and left New York for Bangkok with two suitcases and a world of possibilities. Now an active member of the performing arts scene in Bangkok, Kristen has appeared in numerous stage performances, in Thai and international films, on television and commercial sets and even behind the doors of many voice-over studios. Her credits include local TV commercials for Colgate and McDonald’s, Ayupan Girl of Legend cartoon series, Indie film Cam2Cam, Five Star Production’s 407 Dark Flight, and many more. 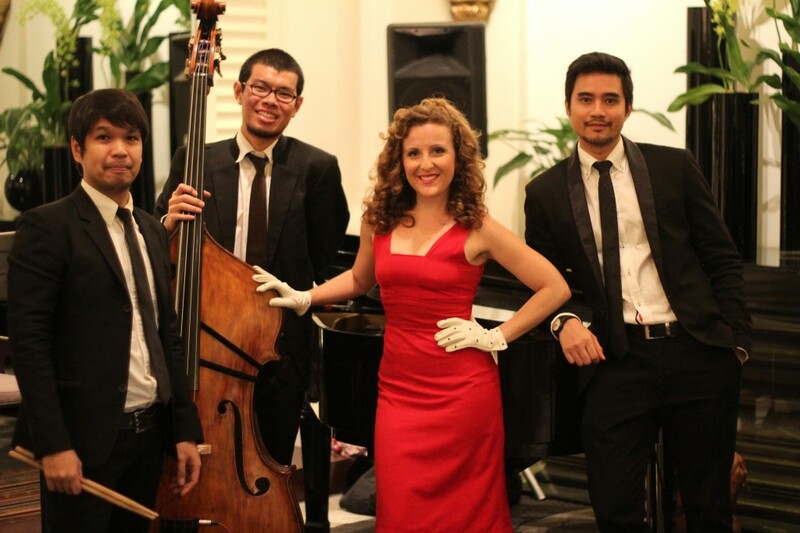 In addition to performing at events throughout Bangkok, including ‘Burlesque at Betty’ every Wednesday night at Bangkok Betty, Kristen is the co-founder of Broadway Babe (www.broadwaybabeasia.com) and Musical Theatre for KIDS. She spoke with Global Living Magazine about her life abroad and her mission to bring Broadway style to Bangkok. What made you decide to move from New York to Bangkok in 2007, and what was your first experience as an expat like? During the summer of 2006, I went to Thailand to volunteer with The Father Ray Foundation/Pattaya Orphanage. It was my first time abroad and being in a foreign country. It was so exciting – every day was new and different. I returned home and decided I would graduate early and move back to Bangkok. I gave up my dream to act, moved to Thailand and worked as an English teacher for 10 months. I then moved to London for most of 2008, for love (don’t do that! ), and then returned to Thailand in October 2008. I soon realized how much I missed performing and slowly realized I could still do it in Bangkok; thus my journey as a working artist in Asia began. 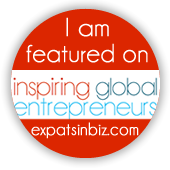 I don’t know if it was because I was 22 years old or because I was living in a foreign country, but life as an expat was exotic, diverse and always exciting. I loved it and still do. What has been your experience in terms of differences between performing arts in Bangkok and in New York? Since I left for Asia right after I graduated, I never worked in New York as a performer; however the training I received gave me a very strict and professional work ethic. I find myself frustrated at the inconsistency in professionalism in Bangkok. 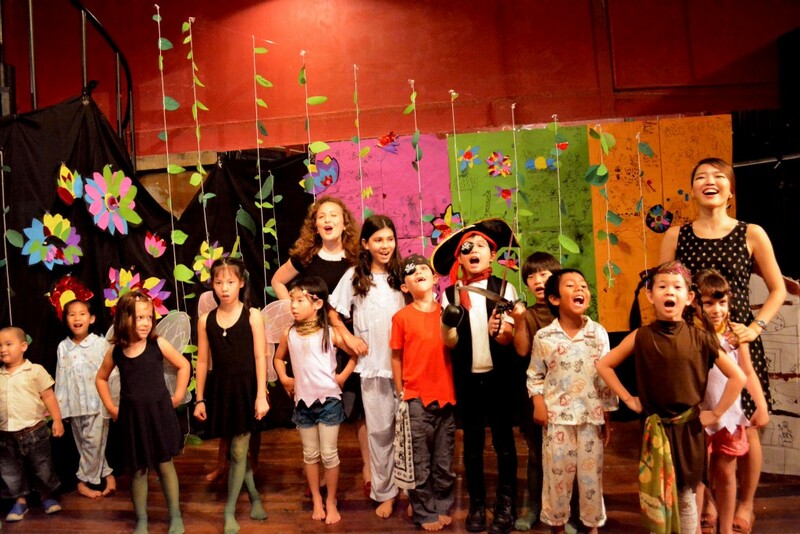 How did you come up with the concept for Musical Theatre for KIDS in Bangkok and what sort of programs do you offer? I was teaching a musical theater extracurricular course at an international school in Bangkok and I loved sharing my craft with the children. However, meeting only once a week left little room for the fluency I wanted to give the course. Also I wanted to be able to pursue work outside of the city/country from time to time, and teaching every week tied me down. I decided to start my own program to give myself the flexibility I wanted and the intensity the children deserved. Currently, Musical Theatre for KIDS offers weeklong ‘mini-musical’ courses during the school breaks. The kids come in every day for four hours and train with Korean artist Youngji Kim and me. On Monday we give them a script and by Friday we perform a 20-minute-long ‘mini’ show. I work with the children on the script, lead acting/improv games, and teach them the music while Youngji creates the set with them. We are also starting Musical Theatre ELEMENTS, which will be run after school for 7-10 weeks. Each class will focus on one aspect of performing: singing, dancing, design and acting. 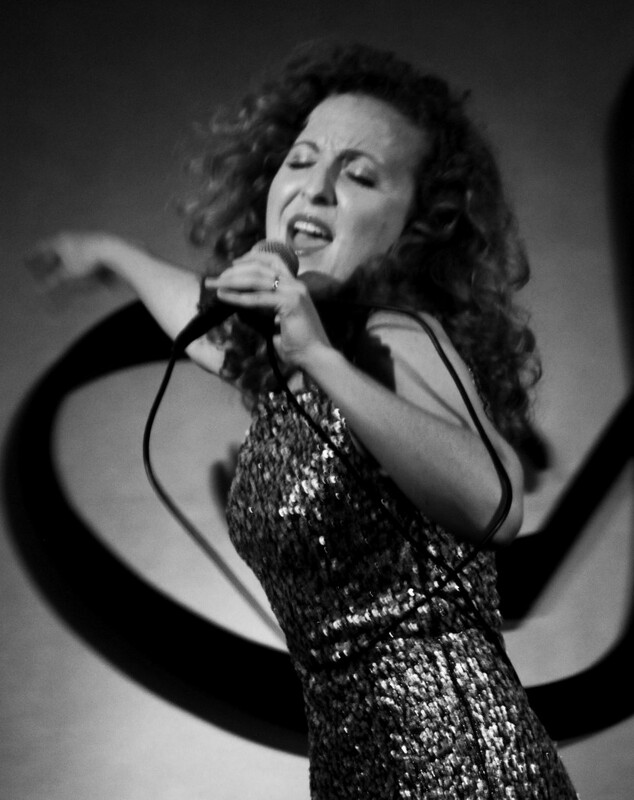 I am bringing on a wonderful jazz singer, Laura Brunner from New York, to dive deeper into music theory and reading with the children; Youngji will teach design and I will lead the acting class. Tell us a bit about Broadway Babe and your weekly burlesque performances at Bangkok Betty. This show is me; it’s basically what I have been doing since I was a child, running around the house singing and dancing, but now I get paid for it and the audience is not my family. The show is camp and glamorous and the music pays tribute to musical theater and the American songbook in sassy cabaret style. Although it is billed as burlesque, and I do take my clothes off, it’s only at the very end and done very discreetly… think Natalie Wood in Gypsy. What’s the best part of being an expat and working with the local community in performing arts? I get to start from the ground up and create what I want. The musical theater genre is still quite new to Thailand, so there is no box that I have to fit into. I love sharing the music with the Thai musicians I work with, as it is usually quite new to them. It’s also exciting to perform the numbers for expats and tourists that come in and don’t expect to see an American girl belting out Broadway-style numbers in Bangkok. I did a show a few weeks back and a group of expat ladies came up to me after and said, “Oh, we felt like we were in New York!”, which was a wonderful compliment. What has been your favorite thing to do in Bangkok as an expat? I love figuring out how things work and discovering new places – not so much areas of the city but, for example, the little costume shops or seamstresses that I knew had to exist because of the elaborate costumes I had seen the Thai drag queens in, but never knew the location of. How have you balanced having expat friends and local friends during your time abroad? Do you find one preferable over the other? It’s not so much having expat or local friends but finding like-minded friends. The language has a lot to do with it. I am closer with my local friends that I speak English to, not because of the language itself, but because most of them have lived abroad and so there is less of a cultural gap. I have many Thai friends, but I have found making friends easier with expats. What has been the biggest culture shock you’ve had to deal with as an expat? I’ve been here so long that not that much phases me anymore; however, I guess having to calm down to fit in with the culture was an adjustment. There are a lot of social pleasantries that, as a typical straightforward New Yorker, I had to get used to. I used to be more uptight, but now I let the little things roll. If someone is 15 minutes late, they are still on time. I am better at choosing my fights because losing your temper out here is not as forgiving as in the States; people remember it. What’s your favorite part of your life abroad? My freedom of choice. Living abroad as an expat is sort of like the old ‘American dream’; anything is possible if you work hard and have a vision. This is a hard question. I am lucky to have had so many adventures. Getting to the Laos border with my brother, my sister and her best friend and realizing my brother didn’t have enough time left before his passport expired, so they would not let him in. I had to change our travel plans within an hour. We drove across the country that day and had a totally unplanned vacation in Thailand rather than in Laos. Really, most of my best memories are little moments with people I care about. Taking a bus from Cambodia to Thailand with my boyfriend at the time. It was rainy season and the roads were clay and not paved so there were big holes in the road. The bus dipped in and out of them for hours, sometimes leaving us on a big slant. It was a little scary but also really fun because I was on an adventure with someone I was crazy about. What advice do you have for a future expat? Learn the language. It will not only help you interact with people and build their trust, but it will also help you understand where people are coming from. Do you have any plans to permanently return to the U.S. to live? No. America is where I’m from but it’s not where I belong. Images courtesy of Kristen Rossi. To read more from this issue of Global Living, download our app for smartphones and tablets in your Apple, Google Play or Amazon App Store now! If you loved this article, SHARE it with your friends by using the social media buttons below.